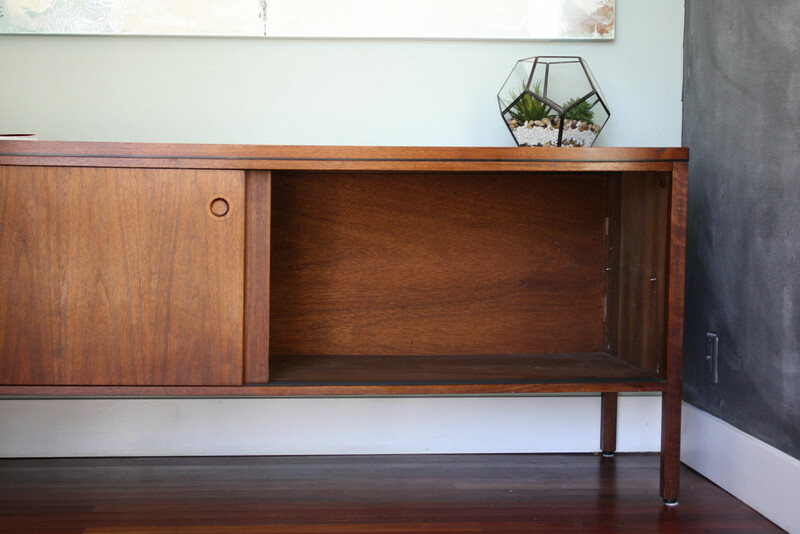 Six feet of walnut on all sides of this beautiful mid century modern walnut credenza. That's right, the front and back are fully finished, so it can float in the middle of your living room or behind a couch. Two large cubby spaces behind the sliding doors. 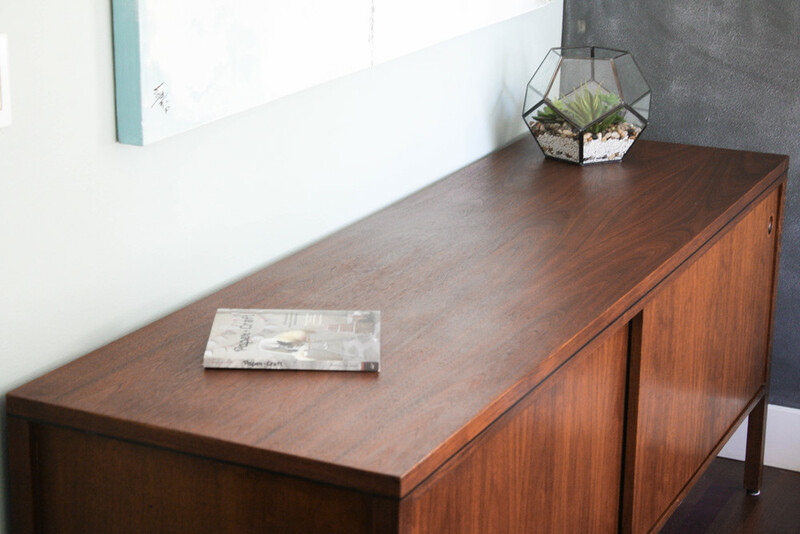 The left cubby space has an interior shelf and the right cubby space is nice and open which is perfect for your larger items and bins you want to conceal. The door fronts have gorgeous circular inlaid walnut pulls to add a perfect "pop". 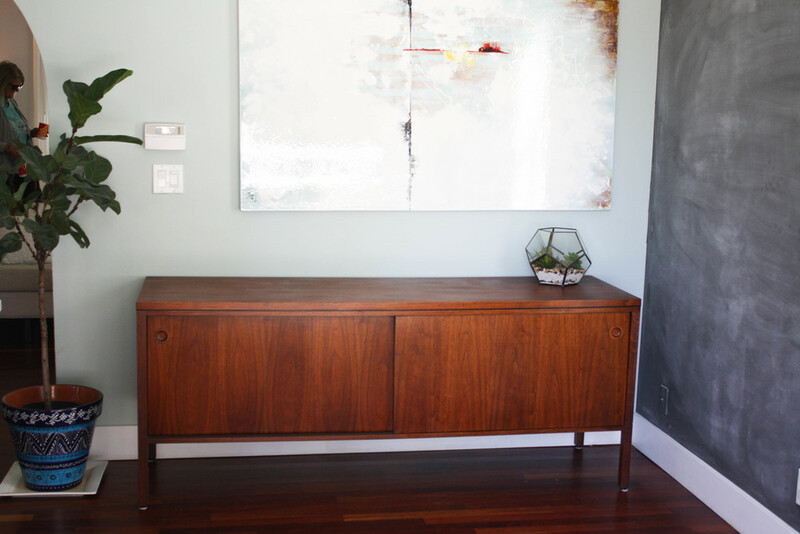 The stunning walnut grain can't be beat and definitely makes this piece stand out amongst the crowd. No much else to say as the pictures do the talking.